Amish in Eau Claire County, Wisconsin seem to have changed their tune regarding smoke detectors. When the issue arose in 2013, it appeared they rejected a scheme which would have had them install smoke detectors to satisfy local building code, only to remove them after inspection. Amish in New York did something like this in 2012 to resolve a similar dispute. 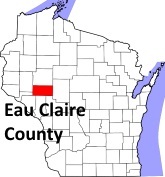 However, some Amish in Eau Claire County now seem to be doing just that. Henry Mast had been out of his rural Fairchild residence more than two years before a friend installed the necessary detectors, allowing Mast and his wife to return on Dec. 23. Truss improvements and installation of detectors were some of the items required before Maley found the 10-year-old residence in compliance. An English friend was the one who installed the smoke detector for Mast, allowing his home to pass inspection. Mast had been driving back and forth from a relative’s house, about two miles away, for two years and three months to care for his animals and business. Mast’s residence had been placarded by county officials, and he at times slept in his shop. Furniture was moved back into the house about three weeks ago. “I knew it would be nice living here, but I did not realize how nice it is to be living here,” Mast said with a smile. Mast admits that he removed the detector after passing inspection. What’s wrong with smoke detectors? That is the question you might be asking. Many Amish in fact have no problem with smoke alarms. Salesmen travel Amish communities selling them, one sure sign of a market. Like other safety technologies such as the orange SMV triangle, the majority of Amish are comfortable with the devices. That’s putting your faith in a manmade device instead of God. What God wants to happen will happen. The Amish are building their homes according to way their Ordnung says they have to build. If, heaven forbid, a fire comes, sweeps through the house and something terrible happens, the child will be in a better place, the people will be in a better place, they’ll be with God. Theirs is not an intellectual faith; it’s a lived faith. In a very real way because everything they do is guided by their Ordnung, by their beliefs. In a way they’re always in church. Are Amish in this community going against their leaders’ counsel? Or does this indicate a shift in views in the community? Adding to the gravity of the situation, Amish residents deemed to have violated the group’s religious principles face the possibility of being shunned, or kicked out of the community. “They’re too honorable to lie,” state representative Kathy Bernier said at the time. So have the Amish decided it’s okay to lie now? Or that maybe this isn’t a lie after all? Perhaps leaders have backed down and allowed a more pragmatic approach, in light of the strife and fines their people were facing. Maybe some Amish individuals never felt as strongly about simply removing them (or even leaving them in?). Two years and three months is a long time to be locked out of your house. Another Amish person, Daniel Gingerich, did something similar to Henry Mast. Neither man seems worried that there will be repercussions, from either church or state. “They won’t come back. It’s a done deal,” said Gingerich. It also makes you wonder how necessary the requirement is to begin with, if it’s basically okay with authorities to just remove them. Is there a requirement for a smoke detector in the schoolhouse? How do they handle that? Someone with more smarts than me can probably answer that question correctly, but I would assume that in a small school (not multi-rooms) where people will not be sleeping the requirement does not hold up. And even if the students take a nap (do they do this like I did in kindergarten?) there would be someone that would visually be there to watch for fires. I would be more concerned with carbon monoxide poisoning than a fire in a school. Teaching in a small 1 room school, we have both smoke and carbon monoxide detector. The local fire dept. comes in to talk to the children about fire safety every other year and we do fire and tornado drills. I don’t understand mandating smoke detectors in private homes. Their absence does not pose any risk to the public, and wouldn’t have anything to do with insurance, since the homes are not insured. I just don’t get it. that for one reason or another the stove belches smoke. If we had detectors they would go off all the time. Maybe we should have them just in the bedrooms. I’m curious what others do. Government entities are set up for the welfare of the public within their area. (city/county/state/whatever) The laws are written to protect all, but the unattended consequences of the laws are people like the Amish. English will hire lawyers that will sue the pants off of anyone/everyone that they might get money from if there was a fire. MORE so if people are killed. To fulfill their duties government sets up things like education and physical things such as fire stations. The will also run fire hydrants out as well. The simple answer is that the Amish are caught between laws that cover all and their own religion. The government has a duty to try and protect. In the end I think the Amish will prevail for the most part, unless it intrudes on other people. PS I am not arguing IF it’s right for the government to push it’s agenda, but it makes sense when people sue like they do for the government to do all they can. It seems like these regulations make more sense in the city where residences are packed close to one another, but less so in rural areas. Apparently legislators were trying “to exempt one- and two-family homes with no electricity from laws requiring smoke and CO detectors” but I didn’t read that anything came of that. I see what you’re saying about there being somewhat of a difference between city and rural…, but maybe there’s more than than immediately comes to mind. In the city a fire can more easily jump from house to house. (Recall the story or Mrs. O’Leary’s cow?) But the more rural setting is not without it’s own set of threats. Of course, even spread out there are still many houses that could be in danger if fire broke out. Also, in harvest time a whole year’s livelihood could be destroyed if a fire jumped from a house into a neighbor’s field — then another neighbor’s and another…. I would guess that barns are often much easier to be lost to a fire (often with dried lumber shell, highly flammable contents), and many times they hold extremely expensive pieces of machinery (compared to the non-human contents of a house). And then in many rural settings there is the threat of a wildfire in standing timber, which could easily be valued at far more than the contents of a home. Good question Naomi. It seems by the example in Eau Claire County and the other in New York that local authorities are (understandably) mainly interested in checking the box that absolves them of responsibility in the case of a catastrophe, since it seems like it’s understood by everyone involved that the Amish could just keep the detectors in only for the purposes of the inspection. If as a society we really wanted to make people have these in their homes, they’d need to at the least do periodic inspections to enforce this. But many people would balk at that as an invasion of privacy and freedom and it does have a police state feel to it. Seems to me like the initial inspection is the one shot they have to make sure these are in homes. And most citizens won’t remove them after having gone to the trouble to put them in. But I guess if you wanted to, you could. How many of us can truly say we wouldn’t want to throw our smoke/carbon monoxide detectors out the window at times? Ours are hardwired and have batteries. One of them will start beeping every so often when the battery gets low. Now the job is to figure out which of the nine in the house is doing the beeping. Once, we had an extra in the basement, not hooked up, and it kept beeping. We finally found it on a shelf, in the box, driving us coo-coo nuts. To me this issue is very different than triangles on buggies. Any safety measures on buggies help car and truck drivers see the buggies at night. If someone hits a buggy, it’s not just about the people in the buggy. That experience will be with the driver who hit the buggy for the rest of his or her days. The risk parents take in deciding against smoke detectors concerns their family and not anyone else. Especially since, as you pointed out, Erik, they don’t normally normally live in close proximity to others. Reminds me of when we had one in a box in the desk and in the middle of church service it went off. It was right by the minister, too. Nice way to wake everyone up. Lying (and/or deception) is the actively or passively misrepresenting the truth. To install (or allow the installation) of a device and then clearly state that you’re going to remove it — hard to see that as a lie or deception. To install or allow installation and not state that you’re going to take it down — I can see how that could be felt to be deception. On the other hand, is there really any deception when both parties know the truth of what is going to happen within 10 minutes of the inspector leaving? So, I can see how different folks could see it in different ways…, and I’m not going to fault either side for how they go with it. I get why the Amish don’t really want smoke detectors. Building code requires one at least where I live. I’m not sure that the Amish could get by our State laws on this. But here’s a thought. You can get battery run smoke detectors. Code says one has to be installed. I don’t think anything says there has to be battery–maybe when it’s inspected… So why not install and take the battery out. You’re living up to mans laws but your putting faith back to God. I suppose there are many here more versed about religious and laws than I. Nice idea Margaret. Seems like a simple way to make both sides happy. Maybe that’s what the people in this community who say they plan to leave them in are actually doing. This just shows me what I already deduced from living on this earth 62+ years: man makes the rules, breaks the rules, and rationalizes whatever helps them sleep at night, be it via their (man-made) religion, laws, etc. Common sense cannot be mandated, and some people just don’t have any to begin with. I often hear and read of fires in Chicago (remember the Great Chicago Fire of 1871?) which kill whole families…later the fire inspectors find there WERE smoke detectors in the house, but none had batteries (there’s a thought for those wanting God to be the one to decide who lives or dies & ends up in a “better place”). I do think that those Amish who remove the smoke detectors after inspection (whose Bishop/church district teaches it’s a sin to lie) are, indeed, lying. But, as I said, they’ll rationalize it not being so. It’s all in interpretation, isn’t it? In which case, why bother to watch young children so that they don’t run into the road and get hit by a car or horse & buggy…if they’ll end up in a “better place”? Why plant crops (trust God to feed you)? If Joe Yoder’s farm is next to a forest that borders MY property, and his house burns and sets the forest on fire (and threatens MY property and family’s lives), I’d sure wish he’d have installed (and heeded) that smoke detector. It doesn’t matter that we’re not tightly packed in a city…maybe a neighbor half a mile down in the other direction has a life threatening asthma attack due to the smoke from the fire. We’re not islands, despite what the song says. Now, the question is, did God give us common sense, and are we supposed to USE it? I consider it to be dishonest too, if someone installs a detector on the pretense that they’ll stay up knowing they won’t. I compare this rationale: whatever God allows is what will happen, to be similar to the lack of lightning rods on many barns. In the case of homes, it would be humans dying. In the case of barns, it would be animals dying. It makes me sad, for how far can one take this? No medicine, etc? But I don’t know everything, just my opinion on this topic. Alice Mary you seem to put a lot of faith in having smoke detectors, but sadly they are next to useless. They cannot prevent fires nor put out fires. Whilst you make a good argument as to why your imaginary Yoder neighbors should put in smoke detectors, have you considered your neighbor on the other side of you who has 40 installed smoke detectors, however on the night when his house burnt down, he and his family were out of town and his 40/80/120 installed smoke detectors could not prevent his house and farm burning down, which was next to a forest that borders YOUR property, and his house burns and sets the forest on fire and threatens YOUR property and family’s lives. Even if the Yoder’s installed smoke detectors, by the time they ran to your house to call the fire truck, the fire would be on their heels only minutes from your house. Kind of useless to have smoke detectors when you don’t have phones to call for help if the darn things go off. If God wants your house to burn down, it will and there isn’t a damn thing you can do to prevent it. The Amish understand this and refuse to live under the delusion that some beeping device on the wall will somehow thwart God’s will. …and in a week I may look back and wish that this had been one of those times. Forgive me Erik — and block me if you so choose — but something the doopy-level is just so high ~someone~ has to step up and call a spade a spade. Dirk, I sit here to respond to your madness and just don’t know the words. You should know that when I was four years old we lost everything to a house fire. Our family was not home at the time — my mom and dad were miles away as they had rushed my three-day-old little sister to the regional hospital for a blood transfusion. My other sister and I were at relatives. And all — ALL — that the neighbors were able to get out of the house was a coffee table and a Bible story book, and later found a skillet that survived in the fire itself. Mind you, this was over a half-century ago, and smoke detectors were unheard of, and we couldn’t have afforded them even if they were around. But it doesn’t take a lot of speculating to know what would have happened if my mom was home asleep with us three kids (my dad worked nights), and a fire broke out. I don’t know who would build a bozo argument that a detector won’t prevent fires or put them out (duh), but if one of them would wake up a mom or dad long enough to give them more time to get all the young’uns out, that makes it well worth it. 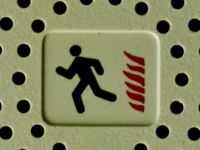 And it’s not impossible that an early-enough warning could even allow them to stop a fire before it got going good. But if you’re still unconvinced consider this: If you genuinely believe that all that happens is what God wants to happen, then where is the logic in criticizing Alice Mary (or anyone else here) since (according to your reasoning) if God allowed them to post their comments, then unquestionably God *wanted* those comments there? And you dare to criticize what He wanted? It needed to be said. I wasn’t really impressed with some of the language he used either. And there was too much exaggeration, too. Frankly can’t see what the big fuss is about. We’ve always had smoke alarms and never gave it a thought. But if there are people who don’t want to put them in – I guess it’s their choice. Sara M. & Alice Mary — very good points about using common sense and the question of honesty in putting something up just to pass inspection, knowing it will not stay. I find it hard to call that being honest. I think his point was along the lines of “we’re Christians, and Amish describes our culture/the way we live”. I think the gist of it is that their faith is not first and foremost about buggies and plain clothes, but about Jesus Christ. Life is a gift. So are the brains God gave us. What’s the rush to go to heaven? I dont consider it lying if the Amish need to install a smoke detector to pass a building code inspection and remove it later. Most inspectors know they’re going to be removed or disabled. They dont REALLY care..
What they care about is that THEY saw that it was in working order when THEY inspected it.. period. It IS a liability protection from litigation. They’ve done their job.. They could care less what you do in your home after they’ve done their job. As I read the above comments, I note the lack of Bible verses being quoted in support of anyone’s viewpoint. Even more salient, is that none of the writers appear to be Amish (Mark, where are you?) and everyone is failing to understand the way most (but not all) Amish think in regards to the fire or smoke detector. Leon, roughly what percentage of Amish do you suppose would object to having a smoke detector in the home? I get your point about “them” and “us”, but for *most* Amish, I think there are other things that more overtly degrade the us/them line than a smoke detector, which is not really something most people think about or are even very conscious of outside of the occasions it (usually accidentally) goes off. But please note that I say “for most Amish”, and I don’t think this issue applies to most Amish, because I believe most Amish accept the idea of having a smoke detector in the home. For that matter many Amish have accepted a lot of everyday technologies that English use thus potentially blurring the us/them line in many other ways–LED lights, various types of telephones, fancy bicycles, orange reflective vests for safety, flashy toys, even including handheld video games, etc. However, for this minority of Amish in question in Wisconsin who have materially progressed more slowly than other Amish and object to the detector (and other Amish like them), it makes sense that it would be objectionable on the grounds you describe. But I’d also note an additional grounds for objection, and it’s the one referenced in the quote included in the original post, by Karen Johnson-Weiner: that of “putting your faith in a manmade device instead of God”. “If God does not wake us, well, that must be part of his plan,” Mose told me. Erik: What leads you to believe the majority of Amish will accept or have already accepted smoke detectors in their homes?? I admit I haven’t been inside many Amish homes lately, but the rural Amish in Mo. have not had to worry about building inspectors because in Webster County, Mo. and other rural counties, there is no planning and zoning to this day as far as I know–I was one of those who strongly resisted it in the 1990’s when the county attempted to adopt a building code, and when it was put to a vote, it failed. So that is one place in the U.S. where you can still do whatever you wish when building, and buyer beware of the construction method when the builder sells a house! And it is usually at the time of final construction when the inspectors are demanding the installation of smoke or fire detectors. Also, let’s acknowledge that you are not likely to get comments from the most conservative and “plain” Amish on this website. But I lived in the homes of the Schwartz Amish in Webster County, who are so “low” that they use steel wheels, do not have tops on their buggies, and use real kerosene lanterns on their buggies–not battery operated, unless they have gotten “modern” lately! So I doubt they will voluntarily put smoke detectors in their homes–these are the true Amish in my book! The rest are about to become Mennonite anytime they wish, without much changing in their lives, if they already have modern technology! So it’s black or white — you are either Schwartz Amish (thus “real” Amish) or pseudo-Mennonite. So much for the rich cultural diversity of the Amish culture and the wide range of practices and viewpoints! True, if you want to define Amish that narrowly, then I suppose “most” of that greatly-reduced group may very well object to smoke detectors. Of course you’d be leaving out a lot of people who wear plain clothes, speak PA Dutch, drive a horse-and-buggy, reject public electricity, and otherwise think they are still Amish. While we’re on the topic, I just read an interesting discussion in the latest JAPAS about “true Amish”, in the form of a review by an Amishman of the book The Amish, and then a response from the authors. I have just finished reading the reviews on this link. And though I do not understand all of the terms or phrases, it was interesting. Thank you for sharing that, Erik. I did have a thought about these research-type books, though. Looking out the office window on a very stormy day I see a neighbor out spreading manure & buggies on the road and have to think of the thousands of people in this community going about the normal Sat. work and getting ready for Sun. and bet over 95% are totally unaware that experts are writing books & articles about them/ us with very educated vocabulary. It is kind of funny when I think about it, but also kind of sad. Just so you know I’m not trying to start an argument, I’m not saying the book is bad or wrong or saying those people shouldn’t do research, but just it’s funny & sad at the same time. I can only imagine it must feel strange to think about that Mark. We outsiders try to understand the Amish for various reasons. Hopefully some good comes of that directly or indirectly. Glad the review symposium was of interest. For those that didn’t read it the Amish reviewer (New Order) praised a lot of the text but also saw in it a bias towards seeing plainer Amish as the “real Amish”. However I thought the authors refuted that perception pretty well and emphasized they weren’t trying to make judgements about who is “more” or “less” Amish, even though they admitted that it may be possible a bias slipped in “because all of us are blind to our own biases”. It was an interesting piece. When you are in the world but not of the world, and you visually stand out from other people, then it is normal that people will wonder about you. Sometimes blind wonderment brings about false TV shows that the casual observer will assume are true. For me, and many others, we would like to take the mystery/mistakes out of what is portrayed. Unless a group puts themselves on a private island, people will wonder more about them. For me personally, Mark from Holmes Co has been one good way to learn about who the Amish really are. Mark does not hold all of the knowledge from every sector of the Amish and Old Order Mennonites communities but for me he’s better than those on the outside that want to paint just rosy or ugly images of who the Amish are. Thanks, Tom. If you take the rosy and the ugly and average it, you are left with reality. I’m not trying to be an expert or speak for everyone — just commenting on an interesting web site. I’m trying to decide if I’m amused or confused that a non-Amish person is deciding who is “true Amish” or not. I guess I’ll go with amused. 🙂 It doesn’t really matter who is labeled what as long as I know who I am and what I stand for. It does over-look a lot of the differences between the many Amish groups, though. Back to the original topic — I did some asking around. The detectors in the schools are gas detectors because of the natural gas in use. Asking a few Amish coworkers, it would seem gas detectors are in common use but smoke detectors less so, at least right here. Just a couple thoughts to chime in with Mark…. (1) In a similar vein, I grew up listening to comments from Non-Indians regarding what constituted a “real” Indian. I have often pondered the parallels between the way outsiders look at Indian people and the way many view Amish/Mennonites. “The rest are about to become Mennonite anytime they wish, without much changing in their lives, if they already have modern technology” Hmmmm, well it greatly depends on what kind of Mennonite you’re talking about. The Old Order folks are similar in many respects to New Order Amish, altho’ admittedly most folks who identify as Mennonite today don’t seem to have much that differentiates them from any mainstream liberal Protestant church member. I’m also curious as to about what definition we are using for “modern” technology? Post 1750? 1860? 1900? What is modern to me may not be to someone else. That’s an interesting point, Forrest. I would guess parts of Amish life or belongings go way back while others are modern. My flashlight is the latest 2014 LED technology, but the snap-curtains on my buggy & surrey go back to the 1930’s, my suit-coat to the 1880’s, and so on… Plain technology has been a long and constantly shifting thing with a lot of variety in group to group or community to community, not something that was “frozen” at one particular point in time. Amish technology can throw surprises at people sometimes, too. Like my buggy has a top, storm-front, lights & brakes, but our group does not allow cell-phones. I recently talked with friends from a community which does not allow tops on their buggies but does allow cell-phones. Diversity. On the Mennonite compared to Amish — I can think of Old Order Mennonite groups who are more conservative than some Amish groups, so Mennonite is a really big and broad label to use. Now this thought just came to me as I was writing — do people maybe use “real” (as in real Amish, real Indian, real Jew, real Southerner) to describe the group they are most familiar with? Leon spent time with one particular Amish group and got to know them as “real people” and that is maybe something we all do to some extent. Just a thought. Where am I? I had the day off yesterday. 🙂 This topic surprised me. We have smoke and gas detectors in our homes & schools and I never really gave them any thought one way or the other (except when the batteries need to be replaced). If I am remembering right, the detectors at the school were put in because it was state law and inspectors looked for those when they did their inspections to make sure they were there & working. I’ll admit I never really gave the alarm idea any thought one way or the other. I guess never having heard them being debated or causing any issue, they never seemed to me to be important enough to think about in terms of culture or faith — just “They are there on the wall just like they’ve always been…” Interesting to think of an alarm being connected to trust in God. I never thought of it like that. It seems this is a small group. Think about how many amish are involved in their community volunteer fire departments. I bet they push the smoke detectors to everyone. If it is ok with the inspectors to remove the fire detectors after they leave then I say it is yet another instance of government showing who has the power, not safety of the people. As for are the Amish lying by allowing the detectors installed then removing. Yes, however those who tell the inspector they are removing them after they leave, no. I live in a state where they tell you how much land you must own to put a mobile home on, minimum square feet you must build to live in and many other regulations. There are also many unscrupulous inspectors who fail the inspection unless you pay them on the sly to pass your work. Freedom of religion and separation of church and state seem to come and go, depending on the situation and the religion. Wow! Learn something every day. Apartment houses, hotels and other public buildings, yes. Definitely. Hope this isn’t too off topic. I grew up in the Midwest always having heard that no Amish farmers/families would rely on something like a lightning to help divert a direct strike, even from a horse-filled barn. Are these rods even still used by the English? If so, is it true that no Amish orders use them? It seemed similar to smoke detectors (fire-related) and thought I’d ask. Thank you! A religious exemption has just been added to Wisconsin building codes thanks to efforts by state rep. Kathy Bernier. Bernier and U.S. Sen. Ron Johnson, R-Wis., hosted the social event at the Augusta Lions Club for more than 50 Amish residents to celebrate getting the religious exemption in state building codes as part of the 2015-17 state budget signed a week ago by Gov. Scott Walker. Bernier believes after the nearly three-year effort she put toward adding the religious exemption to the uniform dwelling code, counties should no longer pursue Amish residents for code violations if they sign the religious exemption waiver form, which will soon be available, she said. This whole post and all the reviews/comments were interesting. It never fails to amaze me that outsiders think they have the right to classify REAL Amish on just their own perception. What amazes me most is that the ultra-conservatives who , many of them anyway, think it’s OK to drink & smoke to some extent and rely on their traditions and just being Amish to get to heaven are often considered more REAL Amish, than a more modern group who believes in salvation and just because they use LED technology, battery lights, natural gas, copiers, smoke detectors, etc. are considered less Amish. I see no danger in our Holmes Community suddenly all becoming Mennonite. There’s still a big difference between us. I think each group has it’s paradoxes. I think the lightning rod comment somewhere above is interesting and analogous. Do any Amish use them? We use them around here (Louisiana) on houses, and even on some of our trees (huge, ancient, irreplaceable oaks). Pledging allegiance to the flag – or God?